Reserved until May 10 ? The last reservation of this item will conclude on March 20. For rentals that require shipping or a pickup at a non-headquarter location, please select a later date for your arrival. Headquarter offices are the only locations that can accept a same-day reservation, as transit time is not calculated in this date. 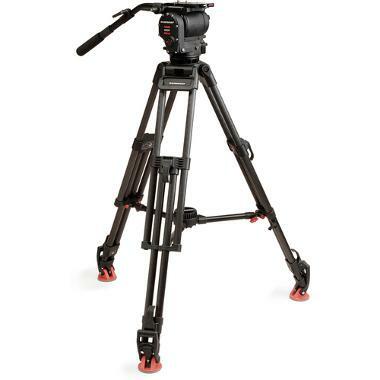 The OConnor 1030D Tripod System provides ultra strong legs with a stepless and ultra-smooth panning/tilting head for great security and precision when shooting video. The ergonomic crank-style counterbalance goes all the way down to zero to accommodate even the smallest cameras and the panning sports Action Breaks for ultimate movement control. This tripod system is ideal for large payloads and more stationary shooting, though the head is compatible with many O'Connor products for quick switch-outs of heavy cameras and lighter accessories. This tripod system is also great for documentary work, ceremonies, and other events. • The OConnor 1030D Tripod System Tripod System has a 100mm Bowl Based Tripod Head and Legs.